I purchased this in purple and it came out wonderful. It is very cheery, and went up easily and without any problems. As always shopping at Overstock is a great experience. 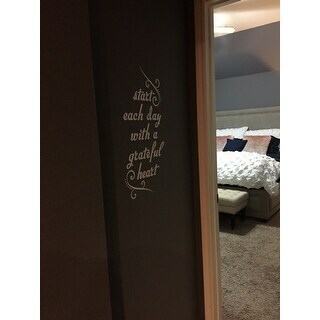 Start Each Day With A Grateful Heart Wall Decal is a great inspirational quote for your bedroom, kitchen or family room. It's especially perfect for that space you will see first when you awake in the morning. This is your reminder to wake each day and be grateful for what you have been given. Complete with a beautiful flourish design to complement the quote, this message will inspire while adding style to your area. The picture shown is VERY VERY deceiving - I thought it would be the size of the one shown but when it arrived it was tiny - when I read the detail after it showed the size but I didnt pay attention to that since I was not ask to chose a size and so IU assumed what was pictured is what would arrive. So beware of size! I have ordered from here for years and this is the first time I have been very disappointed in how OStock presented this showing the picture that they did. I would not have ordered it had I known it was that small! I love this saying to start your day off positively! People are so busy with every day life that a small reminder like this can give you a smile and a grateful outlook. Decal is made of very good quality material and fairly easy to apply. I've bought several! 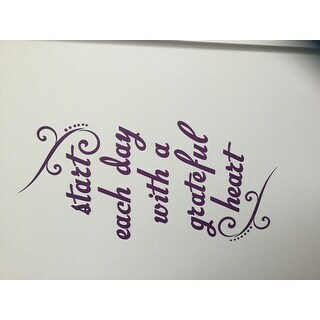 Start each day with a grateful heart is one of my favorite quotes in the world. I put it in my living room where I have abbyson heart shaped mirror along with it. Making it a perfect combination. It was very easy to transfer to wall. Great decal inspiration for the bedroom. First positive would you see in the morning to start your day. Would definitely recommend this decal. I would have probably purchased it in a smaller lettering. I started making more crafts at home and really liked the ones with the windows and words on them. I have been sober and attending AA for 5 years now and one thing I have learned it to be Grateful for things in my life. I see this every morning on my hanging window and I know it is going to be a good day. Thanks Overstock..you did it again. I want my Decal. Am not happy at all. 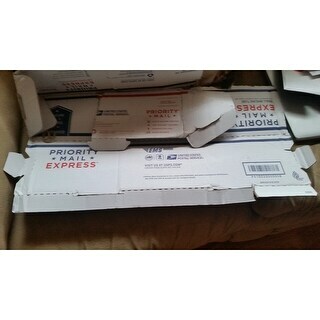 My post office called me and said that there is nothing in the package... I have a torn up empty box.... Would you please send me another one when th the box tapes up... This box only had one strip of tape in the box. Thank you OverStock! You are really GREAT! I am changing my review to a 5 star. You reponsed quickly and sent me another one just like this. Thank you. It arrived today. And in perfect condicition. Thank you again. Very kind and nice. I bought this to compliment my son's grateful dead steal your face wall clock. He loves it and it is a very uplifting reminder of how we should live life. This looks great in the small area leading to my master bedroom. I love seeing this every morning! Graphic words aren’t fit everyone. I changed my mind as it go to too busy. Love it. Easy to apply. Very happy. Liked the saying and right size for the space. I have a similar item purchased recently and I really enjoy it, it makes a beautiful statement of Truth. "Is this in one piece or individual letters?"